will continue "Extended Support" of Windows XP Home, Media Center and Professional Editions through April 8, 2014. 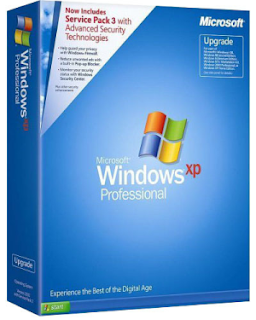 "Microsoft will continue to support Windows XP until 8 April 2014 – about five years from now. So what are the differences between Mainstream and Extended? requests, security updates and other kinds of updates for the product. in for paid support until the second Tuesday in April of 2014." For a vast majority of users (Over 60% still use Windows XP), this can mean a savings of a few hundred dollars by not having to buy Windows Vista. You can rest assured that you will receive free security updates until April 8, 2014. Lack of security updates is one of the main reasons people are forced to upgrade. Windows 2000 users will be faced with this problem on July 13, 2010 when extended support runs out. Considering Windows XP is a very reliable operating system with extensive free software and free games available for it, there is no compelling reason to upgrade to Vista unless you require DirectX 10 game support.